At the London Olympics games, post 90s generation shined. 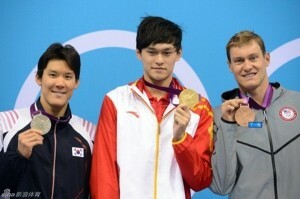 However, what is not known behind the gold medals is a childhood filled with blood and tears. Look at these little faces with tears, hands and feet covered in scars, worn exercise bars and training pants, do you feel the pain? Little body not yet fully developed being forcefully stepped on everyday. 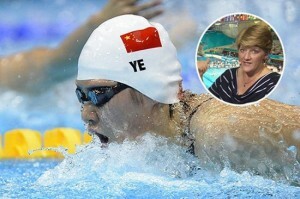 Zhang Mengmeng, a pretty commentator on CCTV was trapped in the “bad-mouthing scandal” during her commentating of the Olympics diving competition. 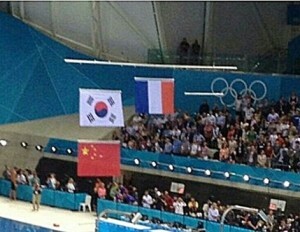 Zhang Mengmeng made fun of several famous foreign athletes of being either abnormal or homosexual. This incident triggered controversy on the internet. 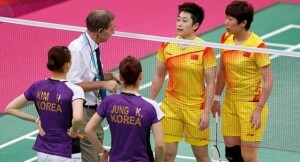 Some netizens suspected that it is because Zhang forgot to turn off the microphone while bad mouthing the athletes in a private conversation. CCTV has not yet made any comments on it. The following is a gust post by Lisa Xu via The Hopewell Journal. 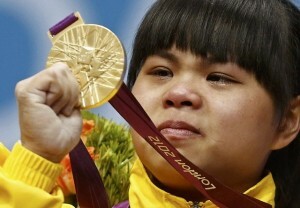 Chinese weightlifting champion Wang Mingjuan of China won her first Olympic gold in the 48kg class on Saturday. The 26-year-old from Hunan, China dominated her sport for a decade, but she was mysteriously omitted from China’s 2004 and 2008 Olympic teams.